Native to Mexico and Texas. 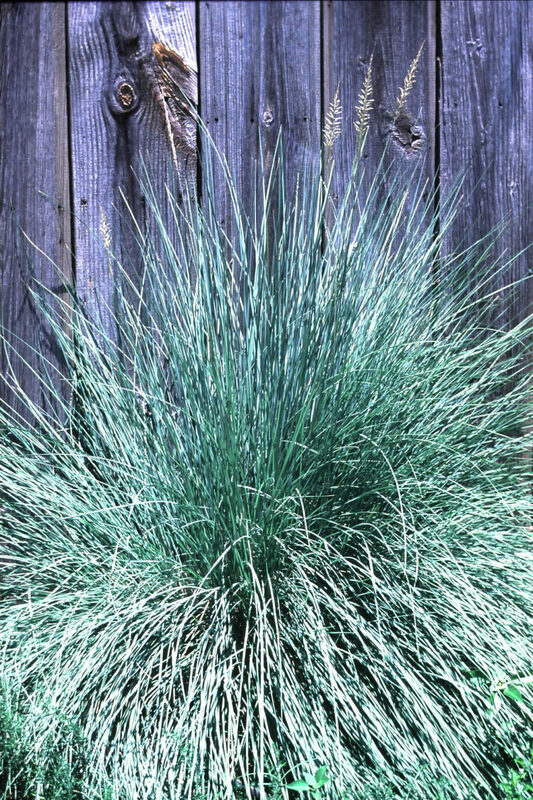 Clumping perennial grass to 5 ft. tall and wide, with blue-green foliage. In autumn numerous flower plumes grow to two feet above the foliage. Blooms of the species fade to gray. Flowers of 'Autumn Glow' are light yellow in the fall. Best in full sun with regular water but will tolerate summer dry in light shade. 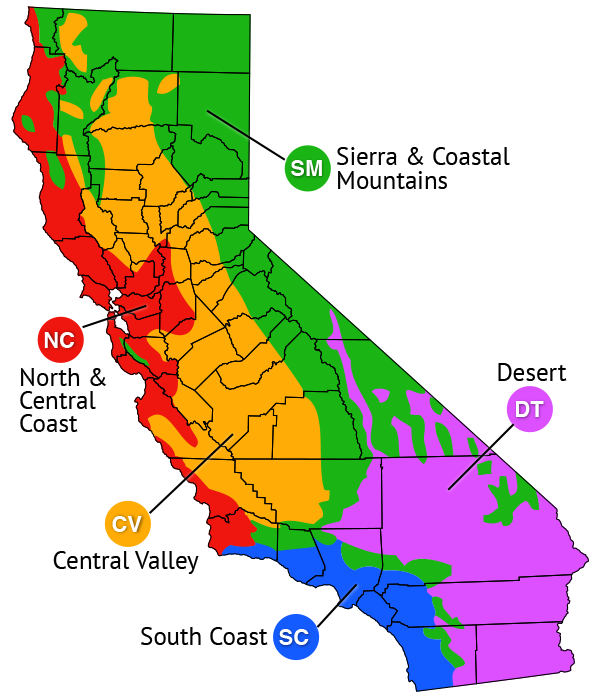 Tolerant of many soil types, ocean spray, and saline soils. Expect a few seedlings to emerge in irrigated locations in the garden, but certainly not weedy. The species is named after Ferdinand Jacob Lindheimer, who is often called the Father of Texas Botany because he was the first permanent-resident plant collector in Texas. ‘Autumn Glow’ is one cultivar to consider using. 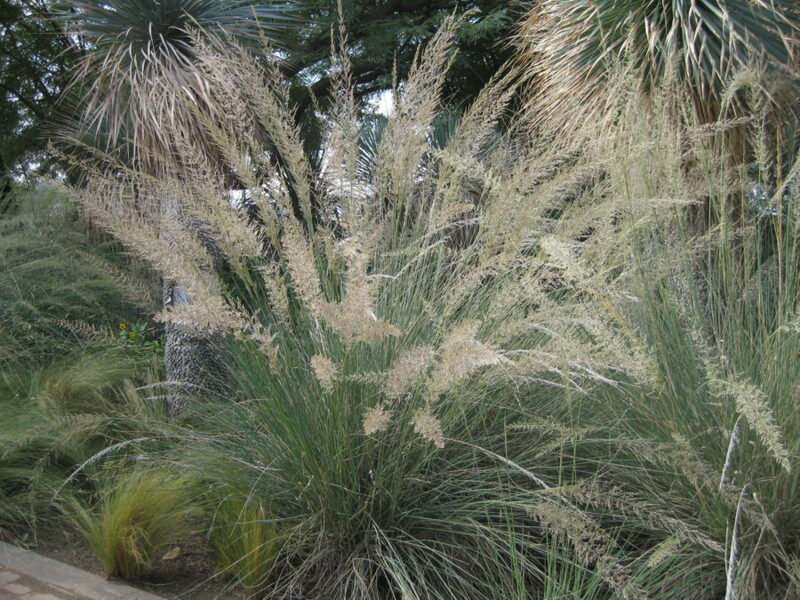 It is tolerant of full sun to almost shade and most soil types. Good choice for retention basins or other areas that receive periodic flooding. 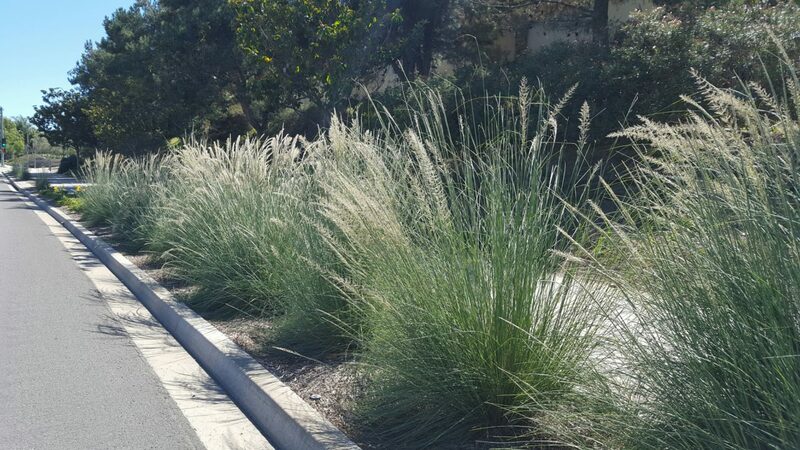 Great backdrop for Muhlenbergia capillaris ‘Regal Mist’. Requires a heavy pruning in early spring to remove brown foliage.